Beautiful, rare, single story estate with 4BR/3BA/3GR on >27,000 SF lot! 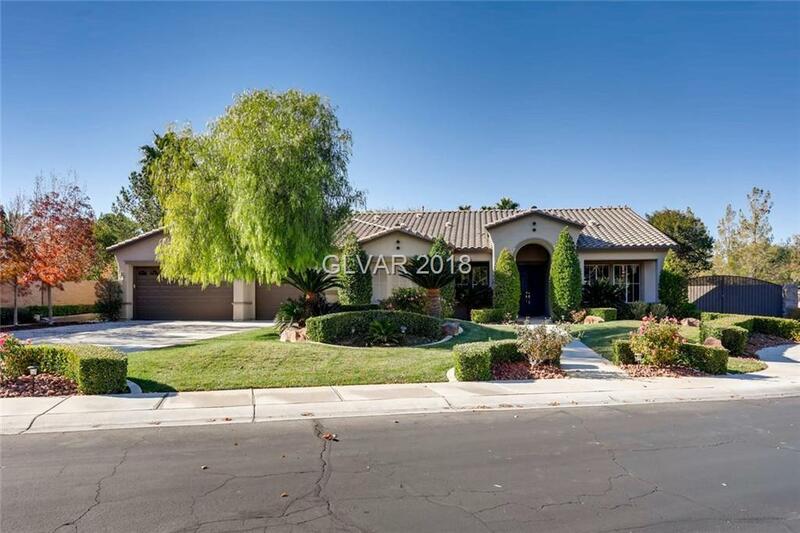 Close to major casinos, schools, new Henderson Costco, & future Raiders facility but located within the quiet, gated San Rafael community. Outside there's space for an RV and plush landscaping with front and rear lawns. Epoxy floor, storage racks, and swamp cooler in the garage. Gourmet kitchen with top appliances, solar tubes and much, much more!